On April 27, OLBI held a lunch to mark the retirement of Amelia Hope, Head of Language Testing Services. 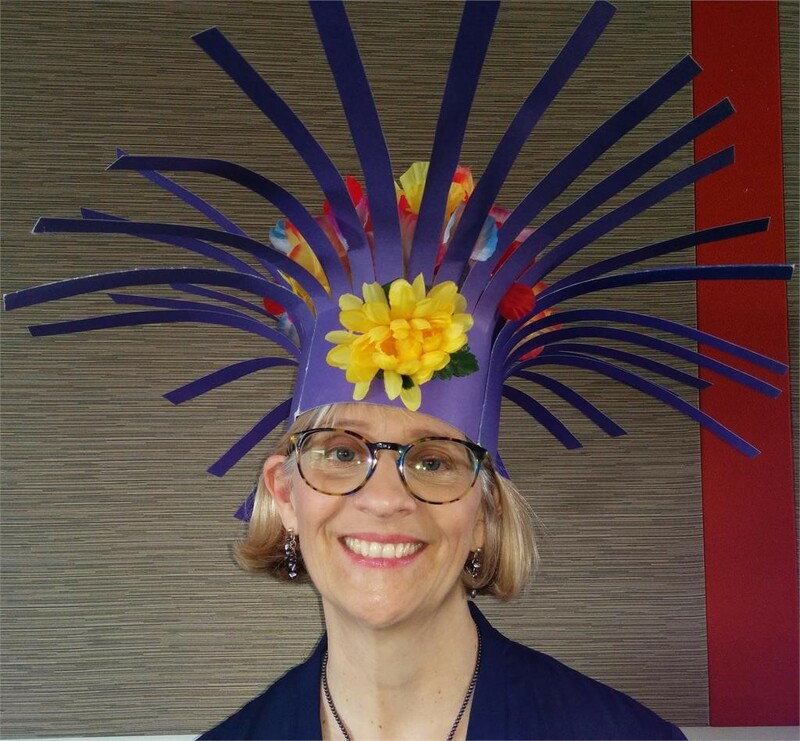 Friends and colleagues of Ms. Hope took the opportunity to highlight her accomplishments, share anecdotes and celebrate her sparkling personality. When she first arrived at the University of Ottawa in the late 1990’s, Ms. Hope started as an English as a Second Language professor. She then joined the Language Assessment team in the early 2000’s. Since then, she contributed to the development of various tests, such as the CanTEST and OLBI’s Second Language Proficiency Test. Her contributions to the development of language assessment methods and the activities of OLBI have left their mark and will continue to enrich second language learning for years to come at the University of Ottawa. We are pleased to announce the appointment of Angel Arias as Head of Language Assessment Services, replacing Amelia Hope, effective August 1, 2017. 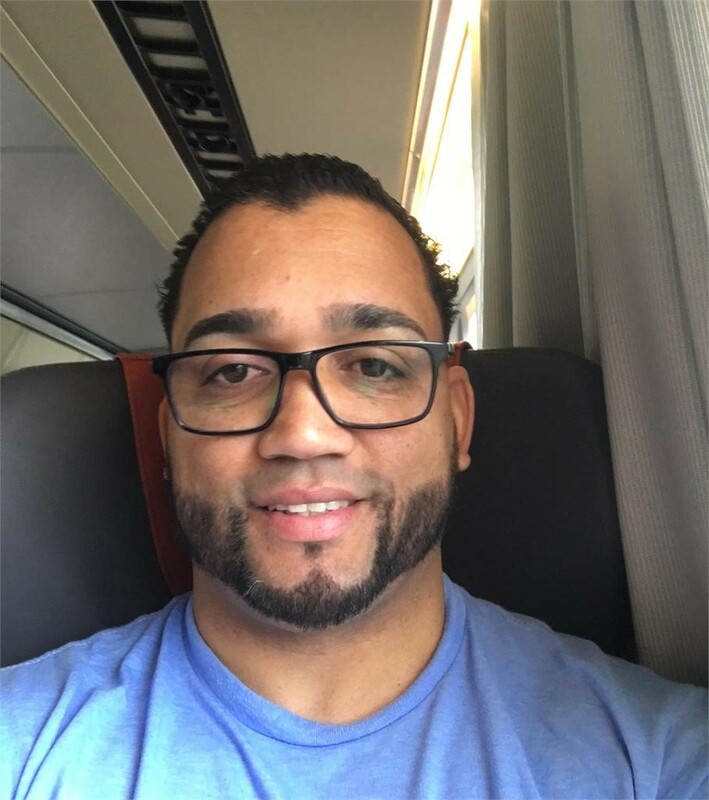 Angel has been our part-time Test Validation Officer over the past few years and is currently completing his PhD in language assessment at the University of Montreal under the directorship of Jean Guy Blais and Michel Laurier. We welcome Angel and wish him the best of luck in his new functions. OLBI represented Canada at the meeting of the Council of Europe's European Center for Modern Languages ​​in Graz, Austria, from 4 to 5 May 2017. At the meeting, OLBI continued its role as an ECML partner for the dissemination of ECML work in Canada as a "Contact Point" and as the "National Appointing Authority for Canada. Pictures of the event can be found on the ECML's Facebook page. On May 11 and 12, the Immersion in Higher Education Symposium was held coinciding with the 10th anniversary of French Immersion at the University of Ottawa. The event was a unique opportunity to take stock of progress, identify challenges and discover new and different approaches. Brilliant presentations and lively discussions were held over the two days, offering eloquent and diverse perspectives on the subject of immersion and its development at the university level. Participants were able to hear the views of various stakeholders on language policies, second language teaching models and teacher training. In addition, a round table of students who lived through these immersion models and configurations offered powerful testimonies about the reasons that led them to pursue their studies in French and highlighted their courage and vision of their future as Francophiles. This generous exchange of knowledge, experiences and ideas has enabled the necessary stance to identify common issues and challenges. More importantly, it reiterated the importance and the need for political leadership at all levels of government for the continued development and advancement of immersion, particularly in higher education. Congratulations and ‘thank you’ to the organizers Hélène Knoerr, Alysse Weinberg and Catherine Buchanan for making these productive meetings possible and for fostering a collective fervour for immersion here at the University of Ottawa and around the world. A march in support Ottawa's bilingual designation will be held on May 31 to encourage the City of Ottawa to officially recognize its bilingual character in this year of Canada's 150th anniversary. The results of the recent survey for the l’Assemblée de la francophonie de l’Ontario and Bilingual Ottawa by Nanos Research are clear: a majority of Ottawa residents support the official bilingualism of the capital. On May 31, 2017, three organizations involved in promoting the official bilingualism of the City of Ottawa, the Association des communautés francophones d’Ottawa (ACFO), the Fédération de la jeunesse franco-ontarienne (FESFO) and the Regroupement étudiant franco-ontarien (RÉFO) are organizing a Citizen's Day to celebrate this support. 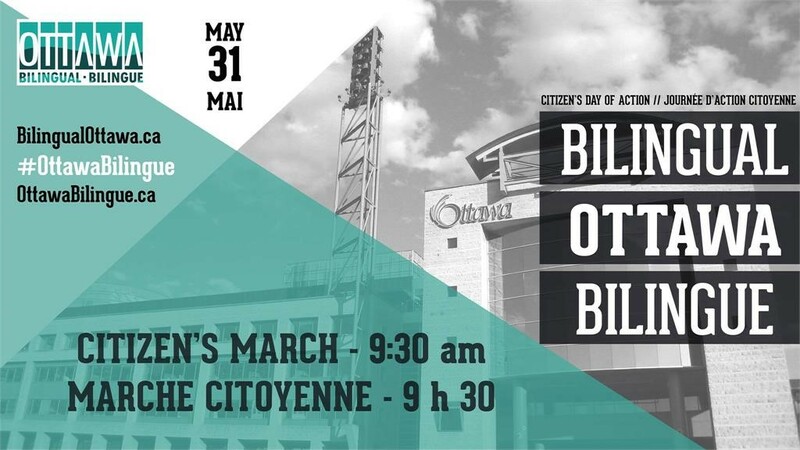 Citizens are invited to participate in a walk to City Hall in the morning followed by an evening rally at the De La Salle Public School in Ottawa. The #OttawaBilingue initiative is borne out of the Movement for an officially bilingual Capital of Canada which brings together several organizations. These groups, by mutual agreement, proposed a concrete legal approach to the municipal elected representatives, pressing them to officially and easily recognize the bilingual character of the City of Ottawa. Better protecting French-language services at the municipal level ensures that future generations can fully thrive in English and French in the National Capital. Official bilingualism not only embodies a gesture of unity and respect for our communities but also significantly impacts business and tourism in our capital. Our thanks to Linda Cardinal, University of Ottawa Professor and holder of the Research Chair in Canadian Francophonie and Public Policies, for her contribution to this article. The Canadian Journal of Applied Linguistics (CJAL ) invites manuscripts to be considered for a special issue entitled “In Memory of Larry Vandergrift” in honour of Dr. Vandergrift’s important and longstanding contributions to second language research and teaching. The CJAL is a peer-reviewed bilingual, scientific and professional journal dealing with the various aspects of applied linguistics published online through Open Journal Systems (OJS). The special issue is to be published in 2018 under the guidance of guest editors Marie-Josée Hamel and Jennifer St. John, University of Ottawa Professors. 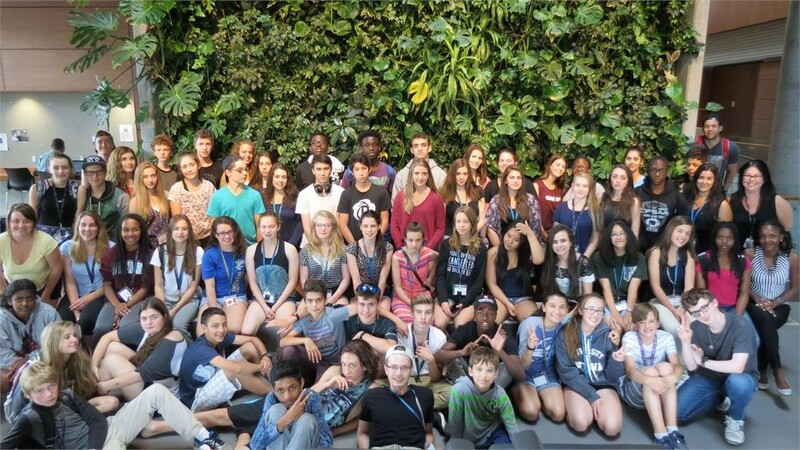 For the 17th year in a row, from June 27 to July 15, the Destination Clic Summer school will be welcoming 54 students aged 13-15 years. This bursary program for Francophones living outside Quebec gives students a unique university experience on the University campus. Classes on Franco-Ontarian literature, linguistics, music and videos will be offered and they will be taking part in drama and creative writing workshops. Furthermore, for Canada's 150th anniversary, these young adults will have the chance to discover the National Capital through many cultural and tourism activities lined up.